Practical and refined, our MPVs will particularly appeal to families or groups travelling together who need that little bit of extra space. 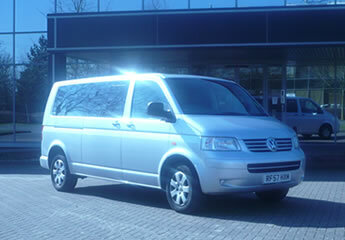 Able to carry up to 7 passengers with suitcases and hand luggage easily. MPVs also come with a host of additional features including central locking, heat reflective glass, front and rear air conditioning. So if you are looking for versatility and space, these vehicles will be perfect for you. Swindon Airport Service provides executive travel & chauffeur car hire services to a wide range of corporate clients and private individuals. Based in Swindon, we offer executive private hire & chauffeur car hire to destinations throughout the UK. Established for over twenty five years, with an excellent reputation for quality and reliability, we provide a professional and confidential service to all our clients using only top of the range executive saloons and multi passenger vehicles. Swindon Chauffeur Car Hire - Chauffeur driven car hire to Heathrow airport, Gatwick airport, Birmingham airport, Bristol airport - business and holiday airport transfers to and from most major airports. Pick-up and drop-off from Swindon, Reading, Bath, Newbury, Bristol, Cirencester, Gloucester, Cheltenham, Stroud and most locations in the South and South West Regions. Chauffeur Car Hire Swindon - Chauffeur driven car hire to Heathrow airport, Gatwick airport, Birmingham airport, Bristol airport - airport transfers for business and personal use. Chauffeur Hire - Hire an Executive Car with Chauffeur to take your clients and guests to London Heathrow airport, Gatwick Airport, Bristol Airport and other UK Major airports. Airport Transfers - Chauffeur Car with Professional Chauffeur to ensure your clients and guests get to the airport on time, relaxed and dropped off at the main entrance for a smooth, hassle free start to their journey. Meet and Greet airport transfer at all UK Major airports. Executive Car Hire - Our Chauffeur Car Hire is a cost effective way of travelling to and from airports and used by both businesses and the general public. Get to the airport on time and relaxed using our chauffeur car hire swindon airport service cars.